I make homemade puppy food for my group of Maltese dogs and their babies. I cook chicken in the slow cooker, debone it and add sweet potato, pumkin, cooked eggs, fresh vegetable(carrots,peas,and a little beets), little cheese, rice small amount of olive oil. I divide this up in small portions, keep some in the refrig and freeze the rest. I do give a natural dog or puppy food, depending on if there are babies on the way or ready to wean. This mix has a good long time affect as you can see the babies decided that they were so satisfied from feeding on mom, they did not make it over to the soft bed. Oh my goodness. They're beautiful. And no eye stain. How do you prevent eye stain? Or how do you get rid of it? Do you add vitamins, calcium etc? Your babies are gorgeous! They are the cutest puppies. 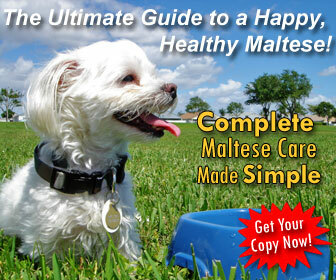 I love the Maltese or Maltese mix. 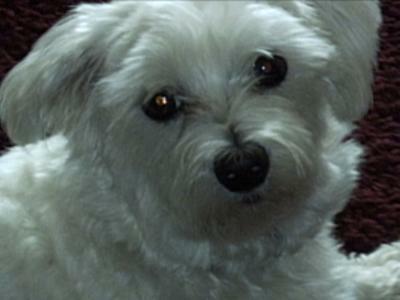 We had a Maltipoo named Annie and now we have a Maltese/Pekingese mix named Mickey, will be 14 years old this month. I cook food for Mickey also, plain chicken breasts, low fat hamburger with rice and veggies plus other good things. His digestive system does better on homemade food. 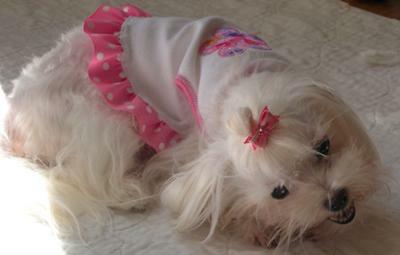 My little princess Daisy-Day doesn't like food from the store or from a factory. I always give her homemade puppy food and cook her dinner. This is what I put in it: rice, vegetables, chicken or turkey. I also put her vitamins in it and once a week a boiled egg. but my vet told me that this is the best. 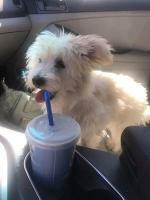 You can give your doggie to eat and you can change the ingredients for example beef, beans, spaghetti or other pasta. Not to much because a fat dog is a lazy dog!!! I believe making your own dog food is the way to go. We people are very preoccupied of what we eat, how we look and our general health. But we very rarely think about what our pets eat. I believe that we are what we eat and the same goes for dogs. That is why it is very important that we choose a healthy diet for our beloved companions. Cooking is already an ordeal for a lot of people and this is why many of you probably feed your pets with dehydrated food. I know that this solution is cheaper and faster but you have no idea how much you are hurting your pet. 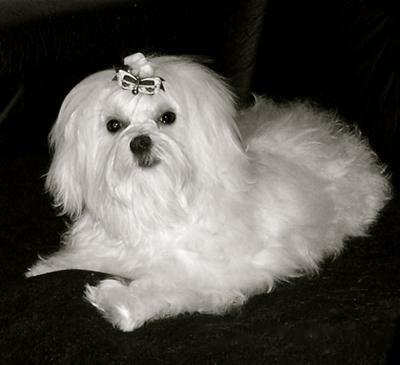 I have a Maltese which is an absolute delight to have around. She is kind and patient and generally behaves well around everybody. She is also very smart and ingenious because she always senses bath time and hides somewhere new. She may not like taking a bath but more recently I found out that she doesn't like her food either. 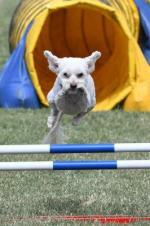 These types of dogs are small-sized but they do have quite an appetite. What happened to me and more importantly to my dog shocked me. One day she came to me and licked me a bit after which headed towards the other room but stopped half way through. She wasn't moving at all. At first I though she saw something although I couldn't see anything. Thinking that this is another one of her games I ignored here. Not ten seconds have passed and she started shaking. In a few moments she lost all power in her legs, and simply lay on the floor. For five minutes I felt like I was living a nightmare. I called a pet ambulance but she recovered before they came. I took her to the vet nonetheless and after some tests we found out that she had been infected with bacteria found in pork and beef meet. After this episode and a little research I started cooking for my dog. It takes me less than I though and my dog hasn't had a problem since. My advice is to try and cook for your dog at least 3 times a week. It will mean all the difference in the world to him. I think the best for for your dog is home cooked. I don't believe that you can really know what goes into the commercially prepared food so the less the better. They say that you are what you eat and that applied to animals as well as humans. I roast meat on a Sunday, beef or lamb then I put little portions into cling film and freeze the individual packages so that there is always food available and in addition I cook a chicken every week. She has the meat with pasta or potato and a little goes a long way. 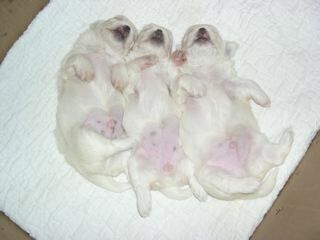 Also with small dogs, three small meals a day is better than one big one as they only have tiny stomachs. This also eliminates the problems with brown mouths from the dye they put in food and helps with tear stains. Finally Snowdrop does eat a tablespoonful of dried food each day to help with roughage. Pedigree Small Bite Mixer is good as some brands are far too big for her little mouth. This is really the only exception to the rule for us. A limitless supply of fresh clean cold water is a must and it should be replenished frequently, several times a day. I had to laugh because if I didn't get the carrots chopped up fine enough, Murphy picked them out and made a little pile next to her dish!!! 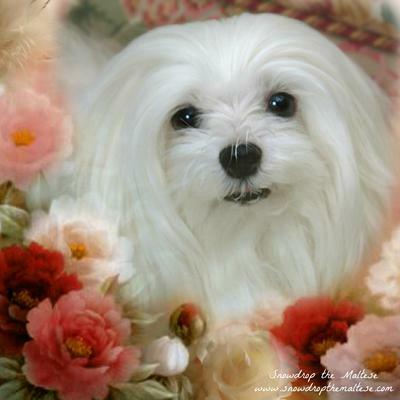 When I spoke with my vet about cooking meals from fresh food for my 2 Maltese she provided me with a lot of info and they need vitamins as well. Human grade food alone is not enough. They need bone meal, oils and vitamins. While I support your idea I think you should see what other nutrients are needed for good health. 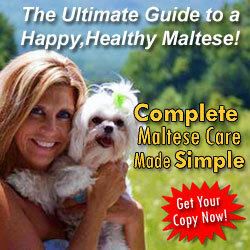 I make homemade puppy food for my Maltese dog Chompers. I baked skinless chicken breasts with no seasoning, brown rice, with peas and carrots. If he gets a upset tummy I mix a little pumpkin puree with the food.